What template are you referring to? The number of forms you have that appears on Trello? Or is it when you create a form and choose a template? Please clarify, so we can further troubleshoot this for you. It’s a couple of things actually. One is that when I’m in a trello card and i go to select a template I only see one of the two that I’ve created. Also, after filling out the form It’s not saved in that card for viewing. The only form that is there is the template. 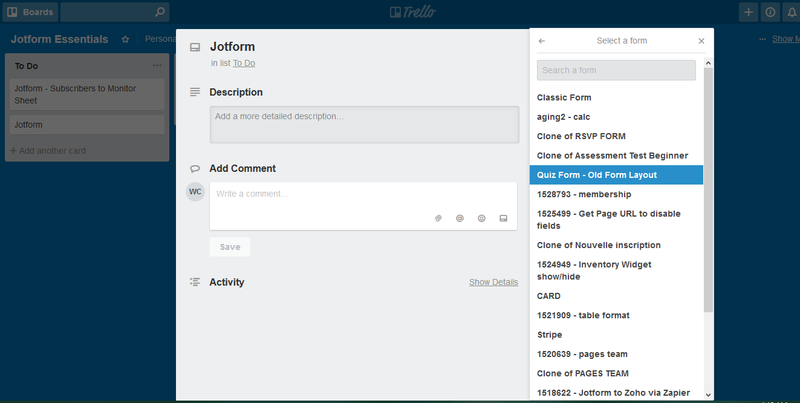 I’d like to be able to fill out the jotform in the card and then be able to view the completed form in the trello card. Possible?